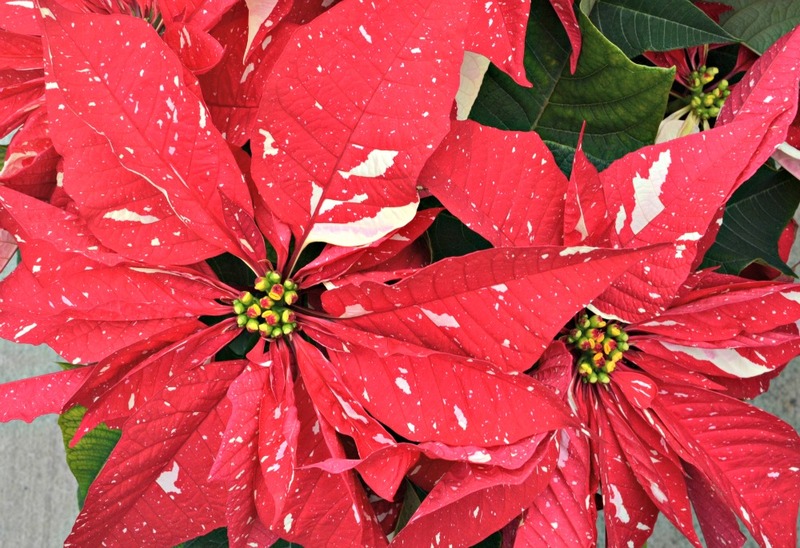 Did you know that the showy, colored part of a Poinsettia are actually modified leaves called “bracts” and not flowers as most people think? 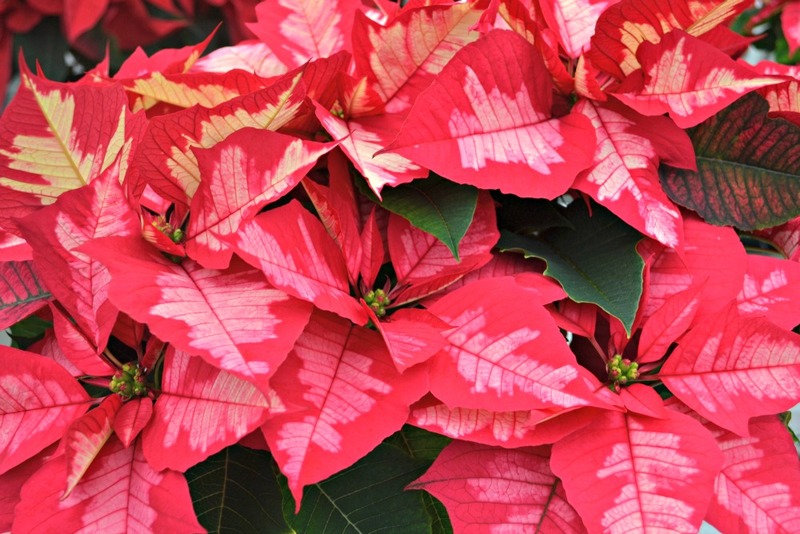 In Central America, the Poinsettia is often called the “Flame Leaf” describing these bright, red modified leaves. 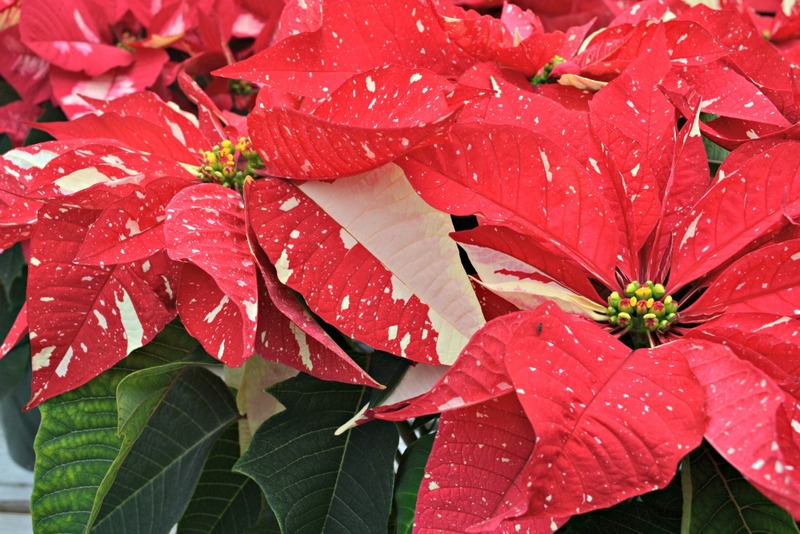 Over the years we have seen Poinsettias evolve from the traditional red variety (introduced to the United States from Mexico in 1828 by Ambassador Dr. Joel Robert Poinsett) to other colors including white, cream, pink, variegated and more. 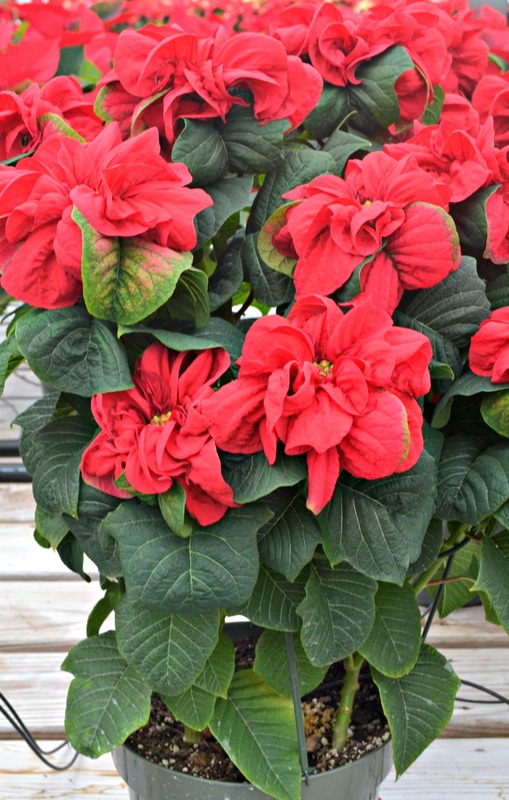 At Fairview Garden Center, we have been growing Poinsettias for over 38 years. We pride ourselves in growing the best quality and most unique varieties. 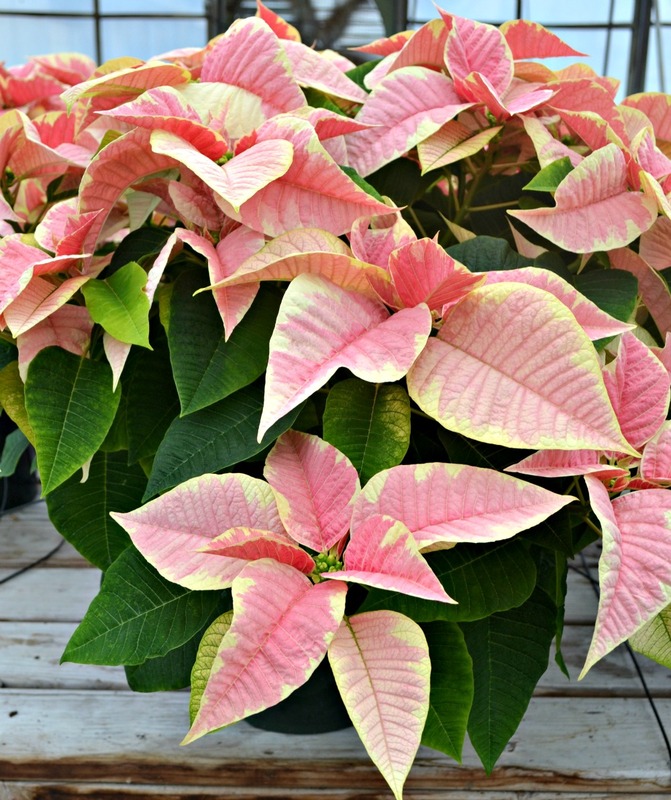 Ice Punch is an exciting new variety that is distinguished by its blush of pin on red foliage. 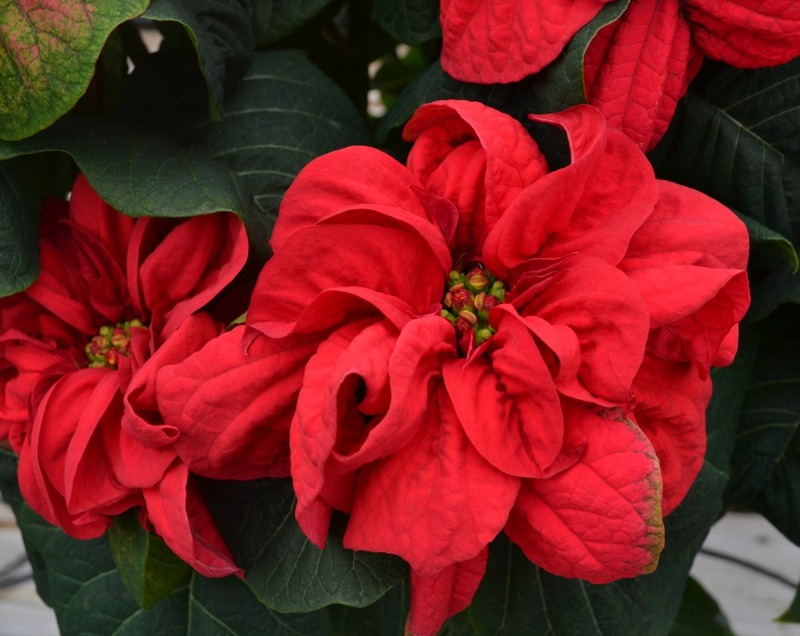 Like a rising star trying to gain attention, this variety is moving up the charts and is beating other poinsettias to the “punch”. 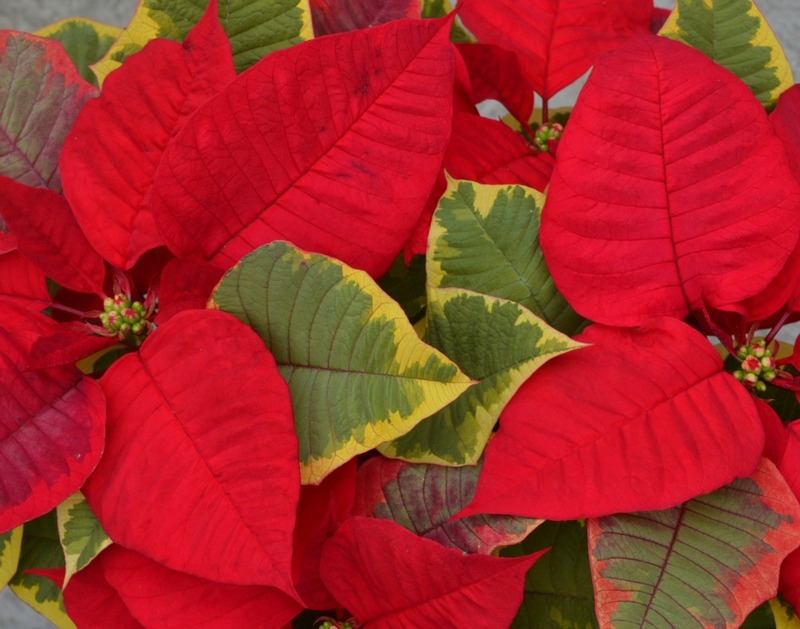 pattern of green, cream, burgundy and red, this compact Poinsettia makes friends and families feel right at home for the Holidays. Winter Rose is a dashing variety that is appropriately titles fo rits stunning display of twisting bright red bracts. The gift of live is obtainable this Holiday season with the gift of a Winter Rose. 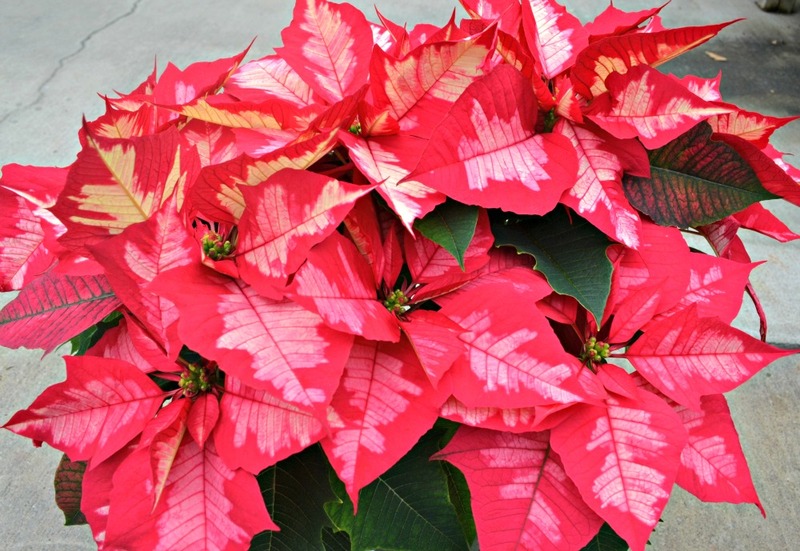 Shimmer Surprise is a novelty Poinsettia that is bursting at the seams with life and artistic flare. Like a painter mad with passion, it is as though Mother Nature splashed her brush on its gorgeous red foliage to give us this shimmering gem. 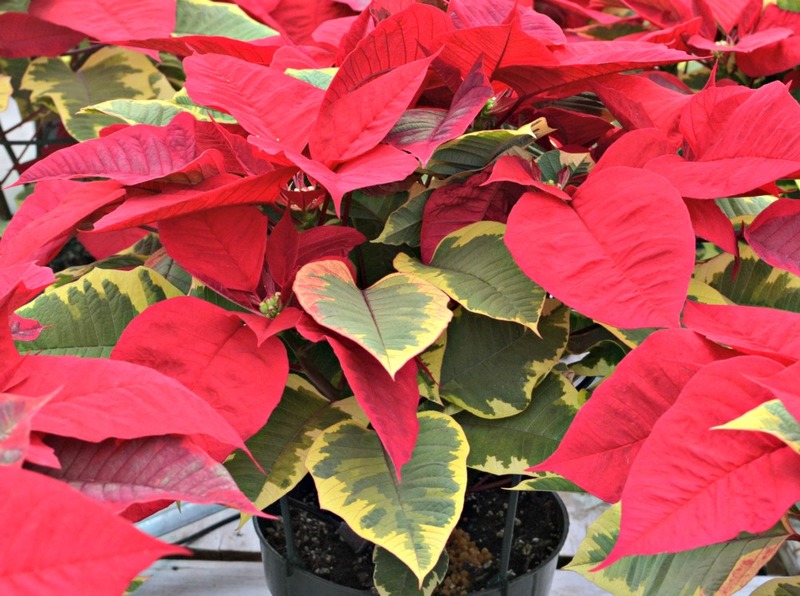 Peterstar Marble is a rather classy and dainty performing variety of Poinsettia. 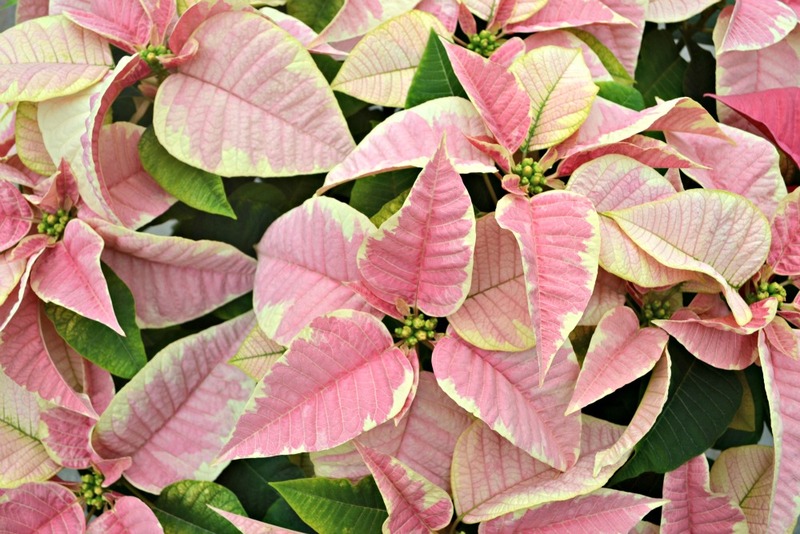 An elegant growing habit, it features a lightly colored hue of pink in its center that is dominated by a cheery cream margin. The Holidays have never looked so bright!